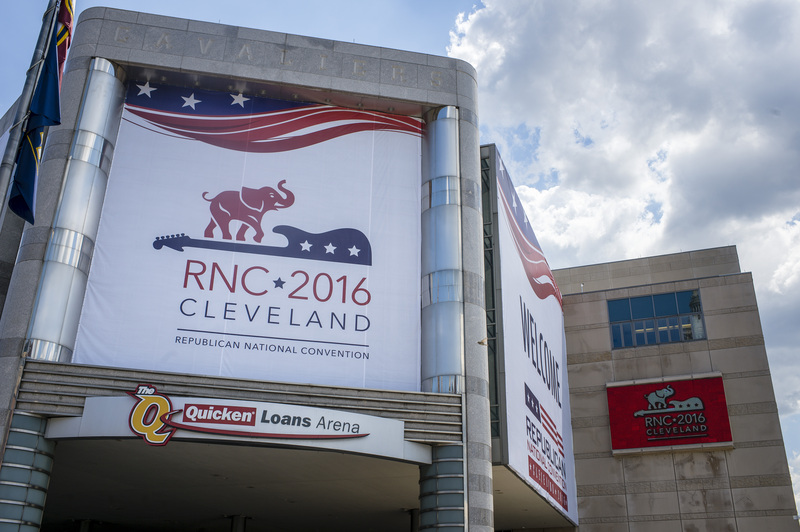 The 2016 Republican National Convention will be held in Cleveland, Ohio, on July 18 through July 21. For those who can't make it out to the Buckeye State, there will be several ways to watch the drama unfold, remotely, on your television. So, what channel is the RNC on? You'll have your pick of options to tune in, as Donald Trump will assuredly make this a must-see event. Fox News' coverage seems like the most Republican way to watch the RNC unfold, if getting a totally authentic experience is what you're into. Megyn Kelly and Bret Baier will co-anchor the network's primetime coverage, while several other shows will be making the trip out to broadcast live from Ohio, as well. ABC will also be broadcasting live from the Quicken Loans Arena in downtown Cleveland. Area native George Stephanopoulos will be helming the network's primetime coverage. Other network properties, like Good Morning America, World News Tonight with David Muir, and Nightline, will also be in Cleveland for the convention to cover what is happening on the ground. Local affiliates will be carrying the feed live. Other networks like CNN will definitely be on the scene to provide live reporting, so that's another network to keep an eye on, especially when things get interesting. It is unclear whether or not NBC and the Republican National Committee have made up after last October's kerfuffle. RNC chair Reince Priebus wrote a strongly worded letter to NBC Universal chairman Andrew Lack after finding fault with how the network dealt with issues and time management during one of the legion of debates that happened. There is also the option to watch online. Live-streams from major media organizations and individuals on platforms like Periscope of Facebook Live will offer a unique, intimate convention-viewing experience that is different than what will be being shown on major broadcast networks. Following delegates as they live-stream their experience will be one of the new media milestones that will be reached after the closure of this election cycle. No matter how you choose to watch the RNC take place, it'll be hard to justify missing coverage of the convention that will assuredly be historic.